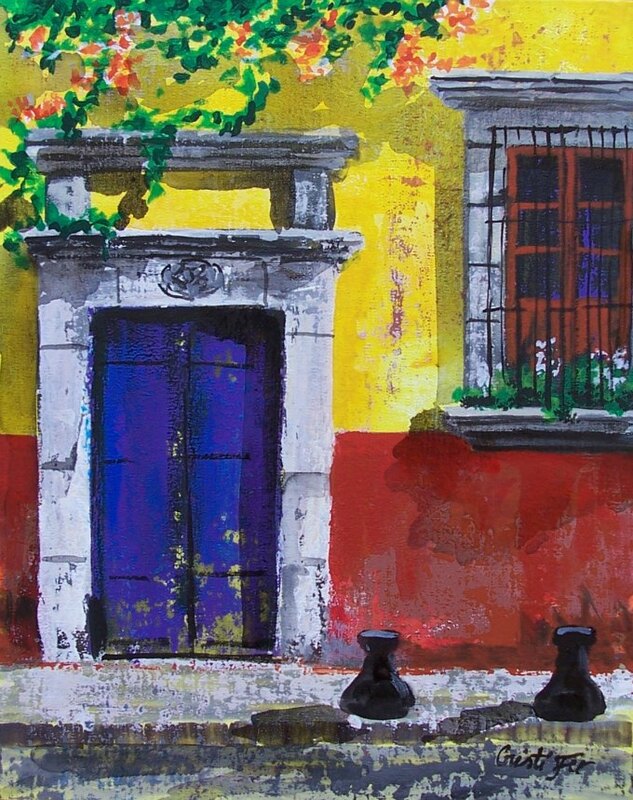 Acrylic on canvas board 11" x 14"
Just finished another painting inspired by the charming San Miguel de Allende. Started as a demo in our One Painting in One Day workshop. Depicts a sunny June day in San Miguel de Allende. Part of the demo was use of acrylics, palette knife, brush techniques.